Road to California, 2007-Part I | OccasionalPiece--Quilt! 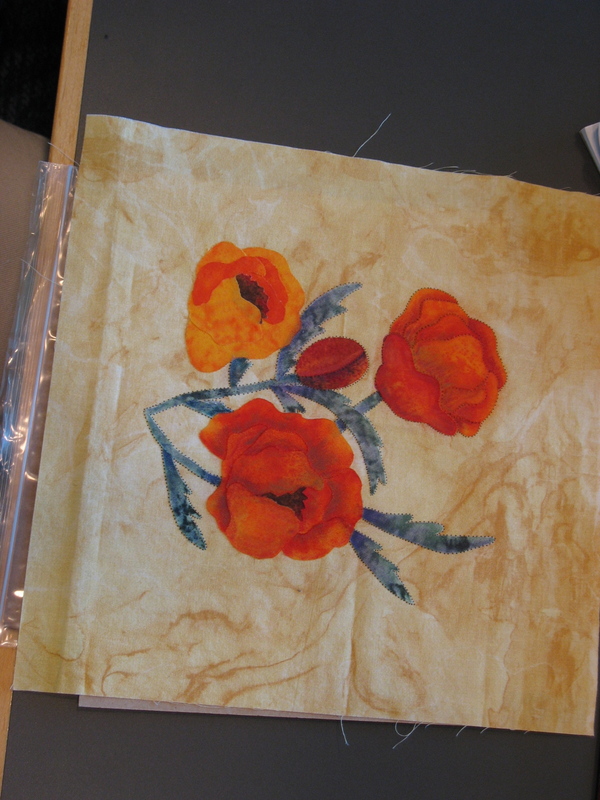 Last week I attended Road to California, a quilting conference with exhibits, vendors and classes. 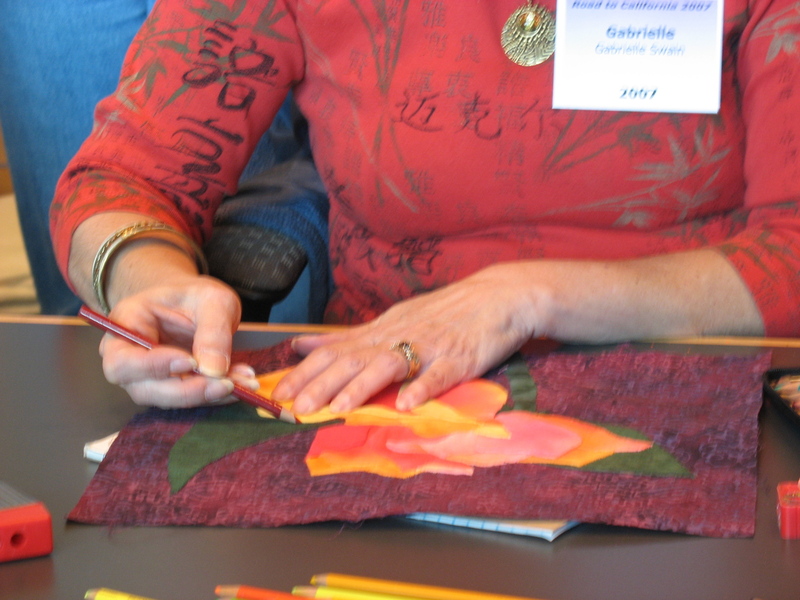 I took a class from Gabrielle Swain, an applique-er who uses paint crayons, and watercolor pencils to shade and enhance her work. 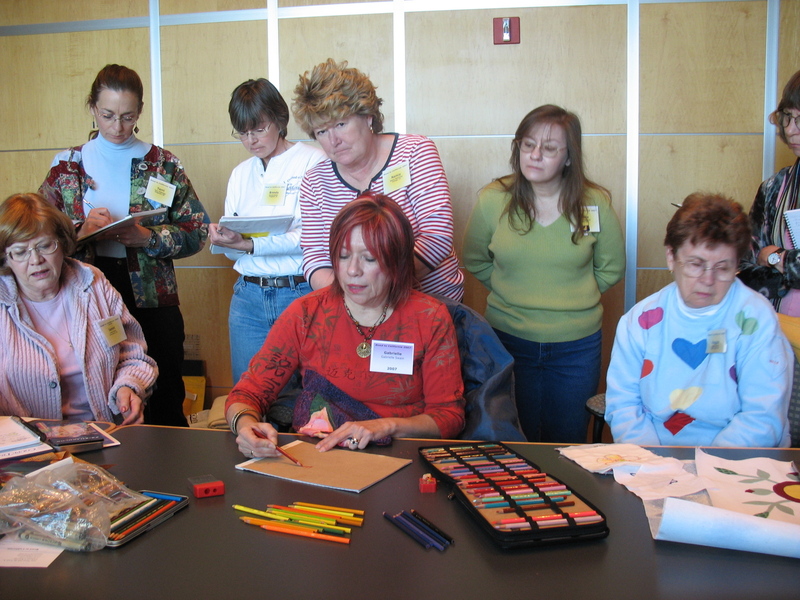 Below are some shots of the class. 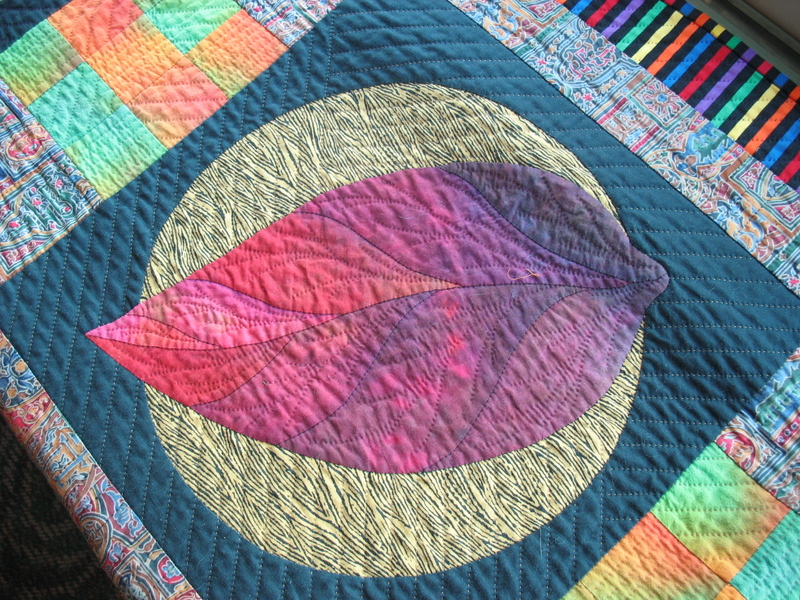 This is a quilt of the teacher’s, an appliqued leaf with shading produced not only by the choice of fabric, but by application of highlights and darks through pencil/crayon media. 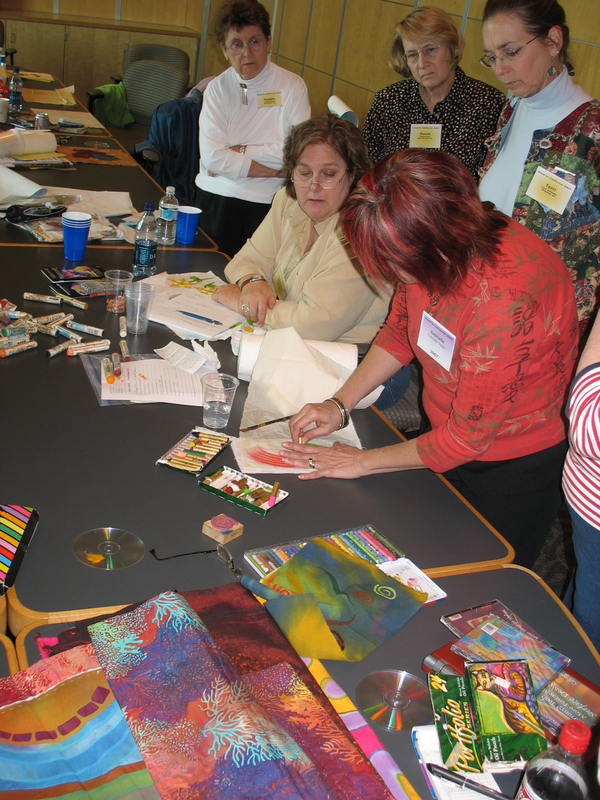 I expected to enjoy the class, but I was pleasantly surprised by how much I enjoyed the class. I learned techniques that I know I will use, and my class samples (though hideous) are good examples of what I learned. I purchased more oil-based paint sticks at the show, as well as set of oil-based crayons at Office Max afterwards. Now to find the time.